In this day and time it's extremely important to support one another. It's nothing like a woman that understands another womans struggle. We get it. We've been there and purchased the T-Shirt,book and bracelet. 4G Ministries is a ministry that does just that. 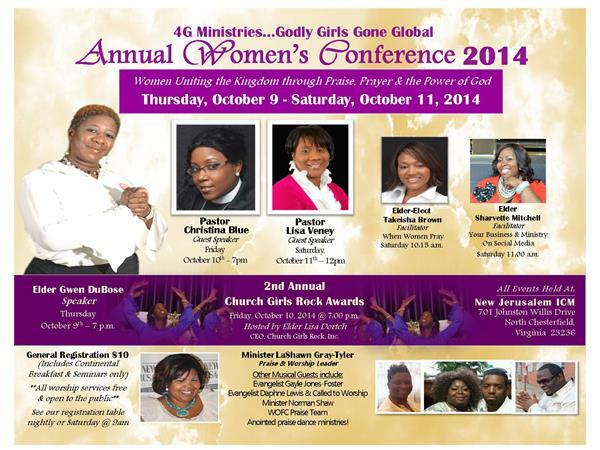 Listen as I chat with founder, Gwen Finely about the ministry and her upcoming conference.